Food preservation has come a long way. There have been new developments made over time. 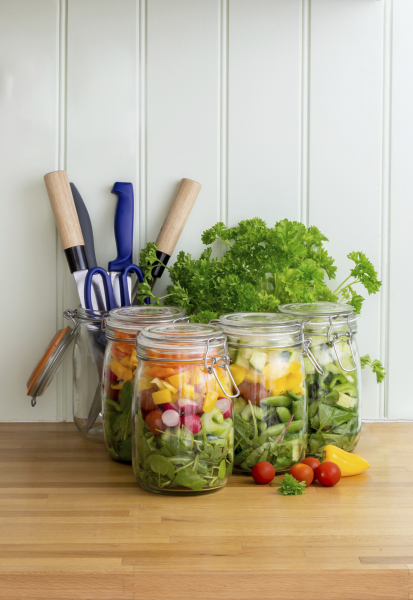 Different techniques provide innovative ways of storing and preserving your food. However, the concept of frozen food has been around since early twentieth century. Frozen foods have come to be associated in some specific types of ways. Some people believe frozen foods are quick and easily handled. However, there are still opinions that frozen foods are not as nutritious as fresh foods. This might be because of the processing involved in such foods before they are packaged for sale. In as much as there could be truth to this, there are many advantages of buying frozen food or storing your food in a freezer. Below are some of these reasons and explanation . Foods that have been frozen stay good and fresh longer than foods that have simply been kept in the fridge. This is attributed to the slowed down effect of enzymes responsible in denaturing the food. This is a great thing because it means you can have your food stored in a freezer for countless months without having the food go bad. Most of the time the nutritious value and the flavor of food is not lost, however, this depends on the type of food. Wasting food by allowing it to go bad can be avoided by keeping things such as leftovers in the freezer. This is great for cutting expenditure in the amount spent buying food. Having a fridge is great but having a freezer is an added advantage. Depending on your work schedule, you might not always have adequate time to get a meal ready from scratch. luckily with the use of ziplock heavy duty freezer bags you can shop and save food that you have prepared in advance. This makes your life a whole less hectic because all you have to do is warm the food in the microwave or oven after you leave it out to thaw. Using a small meet freezer for preservation can help maintain the quality of your food. It's never a pleasant experience when you get food poisoning from eating spoilt food. With one of these tiny freezers, you can buy your food and save it fresh . The process of going bad is slowed down significantly. The food becomes hard to rot because the freezing prevents any form of fungal and microbial activities that might take place if the food is left outside. Freezing food is relatively safer when compared to effects of accidental leaks that might occur with canned foods. Contrary to the popular belief that frozen food lacks nutritious value and quality, research shows that frozen vegetables as well as fruits are just as good as fresh produce and possibly even more nutritious.. Flash freezing is a technique used to preserve taste and nutritious value of freshly picked produce. Check out http://en.wikipedia.org/wiki/Food_storage for more information.